Looking for an easy way to use cranberry sauce beyond traditional turkey? 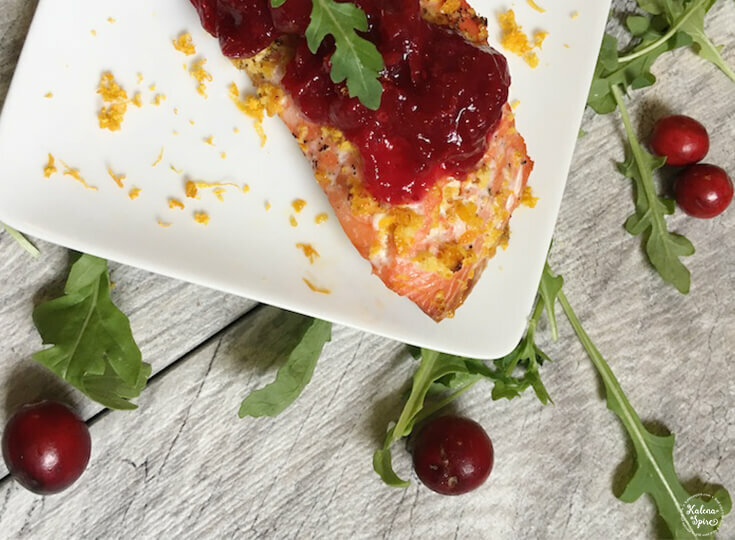 Cranberry Orange Wild Salmon is a delicious melding of robust flavors. Get ready for a pop of sweetness, tartness, and brightness transported on the magic carpet ride of firm, full-flavored orange-reddish salmon. 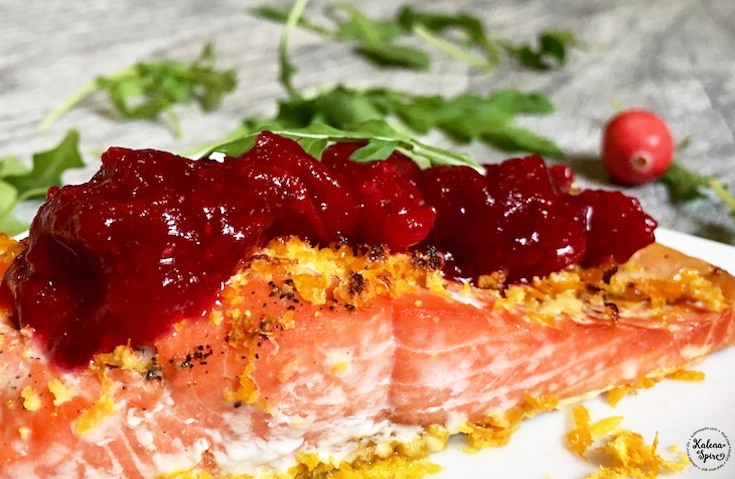 Although it looks and sounds fancy, Cranberry Orange Wild Salmon is incredibly easy to make. You can whip it up on a weeknight or serve it at your next holiday gathering. 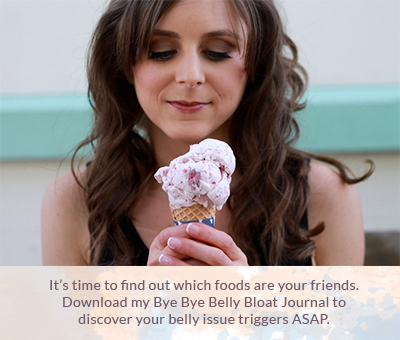 Either way, your taste buds and eyes will be in for a stimulating experience. I’ve tried this recipe using wild coho (silver) and wild Alaskan salmon, and both are equally delicious. Wild coho salmon has a slightly milder, but still distinct, flavor. If you’re looking for a strong flavor, go for wild king salmon. Be salmon-savvy and choose the species that you prefer. Either way, the results will be delicious. There are multiple reasons for choosing wild salmon over farmed salmon (raised in fish farms or aquacultures), including nutrition and environmental. Farmed salmon contains higher amounts of polychlorinated biphenyls (PCBs) and dioxins than wild salmon. Wild fish (and animal foods) contain trace amounts of contaminants due to environmental pollution, but tests routinely indicate that farmed salmon has significantly higher amounts of PCBs and dioxins than wild salmon, seafood, and beef. As for nutrition, wild salmon is leaner than farmed salmon. And although both are excellent sources of omega-3 fatty acids, wild salmon has a better omega-3 to omega-6 fatty acid ratio. 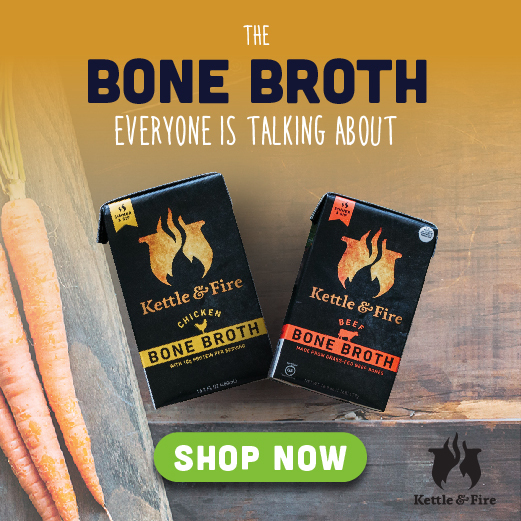 This is important because most individuals consume excess amounts of omega-6 fatty acids, which can promote chronic inflammatory conditions such as cardiovascular disease, inflammatory bowel disease (IBD), and rheumatoid arthritis. Notably, omega-6 fatty acids are integral to health, but the key is to achieve the right amount in relation to omega-3 fatty acids. For optimal health and protection from inflammatory processes, a ratio of omega-6 to omega-3 fatty acids should be between 1:1 and 4:1. However, a majority of dietary habits in Western society lead individuals to achieve ratios anywhere between 10:1 and 20:1. Thus, choosing wild salmon can both optimize your omega-6 to omega-3 ratio and significantly reduce the consumption of harmful industrial contaminants. And with my favorite purveyor of wild salmon, the highest quality fish can be delivered right to your doorstep (no fishing required). Looking for an easy way to use cranberry sauce beyond traditional turkey? Cranberry Orange Wild Salmon is a delicious melding of robust flavors. Get ready for a pop of sweetness, tartness, and brightness transported on the magic carpet ride of firm, full-flavored orange-reddish salmon. Preheat oven to 400° F and line a baking sheet with parchment paper. Zest the orange using a zester/grater and then juice the orange using a citrus juicer. Rinse salmon with cold, filtered water and pat dry. Place salmon fillets, skin side down, on the parchment-lined baking sheet. Squeeze orange juice, and sprinkle salt and pepper on top of the salmon. Let stand for 5 minutes. Lightly drizzle the salmon fillets with olive oil and sprinkle orange zest on top. Bake in the oven for 10-20 minutes, or until salmon is opaque and flaky. Remove the parchment paper and place under the broiler for 1-2 minutes (optional, but gives a nice grilled flavor and texture). Remove from oven and top each fillet with 1-2 tablespoons of cranberry sauce. Rolling the orange on the counter or between your hands will help extract the most juice. The baking time will depend on the thickness of the salmon fillet. Generally, each 1/2 inch will take 5-6 minutes to cook through completely. Check often and adjust the time according to your preference. If you prefer, you can grill the salmon fillets for about 8 minutes, starting with the skinless side down and then flipping over after about 3 minutes when grill marks appear. Continue grilling skin side down until opaque and let sit for about 2-3 minutes (will continue cooking during this time). Cranberry sauce can be gently warmed in a small saucepan before topping the salmon, if you prefer. 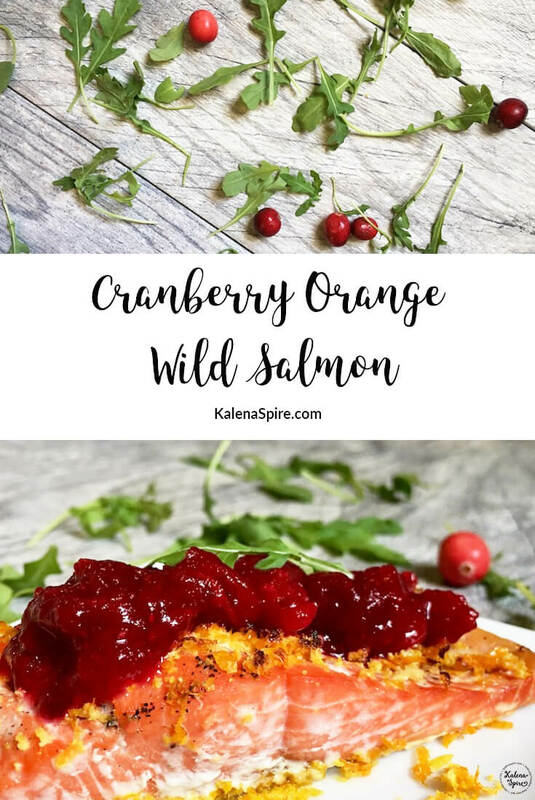 In conclusion, Cranberry Orange Wild Salmon is a delicious way to add nutrition, taste, elegance, and color to your weeknight meals or next holiday gathering. 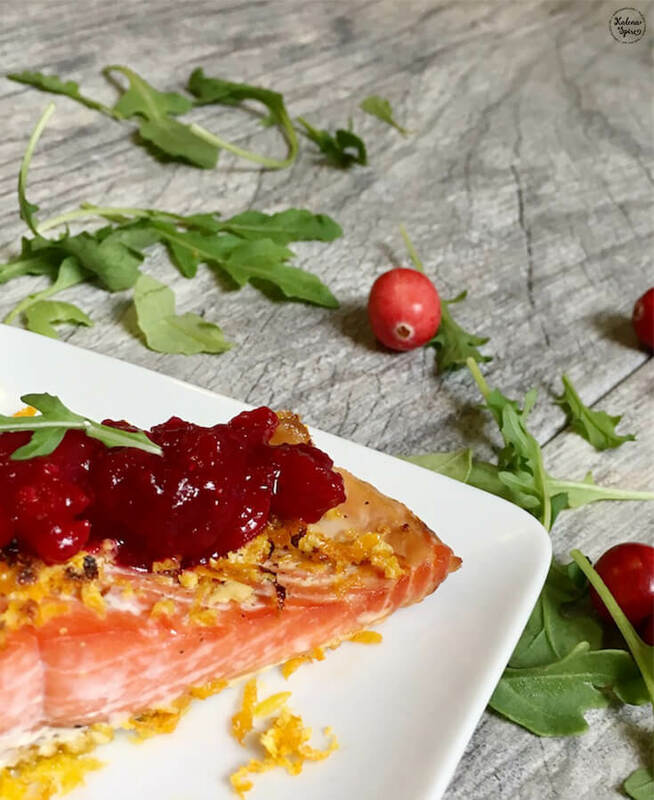 Do you plan to make Cranberry Orange Wild Salmon for yourself or a dinner party? Share in the comments below!